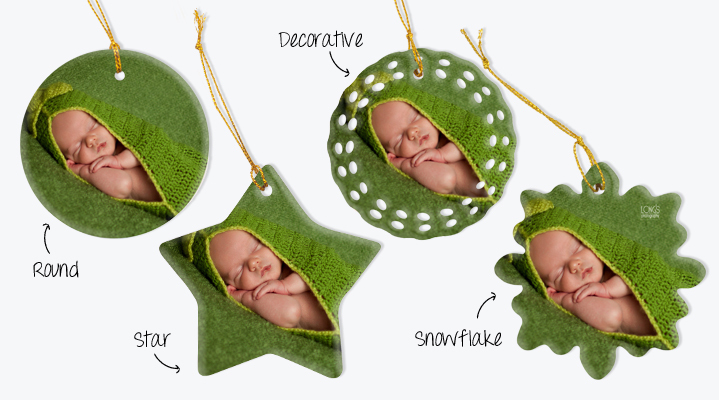 This makes a perfect gift or a keepsake to use on your own tree and then display long after Christmas is over! Fits one 2x3" image. Includes satin ribbon. $18 each. Festive aluminum ornaments! 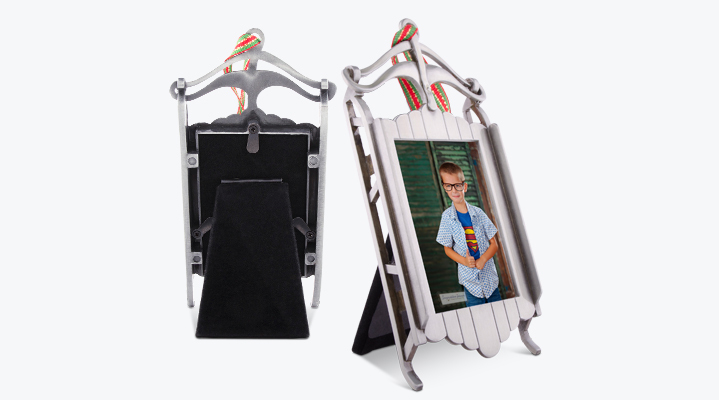 Photographs printed to metal have a sleek, modern look - a perfect update to these traditional shapes! 2.5" ( approx), double sided. Includes red ribbon. $14 each. 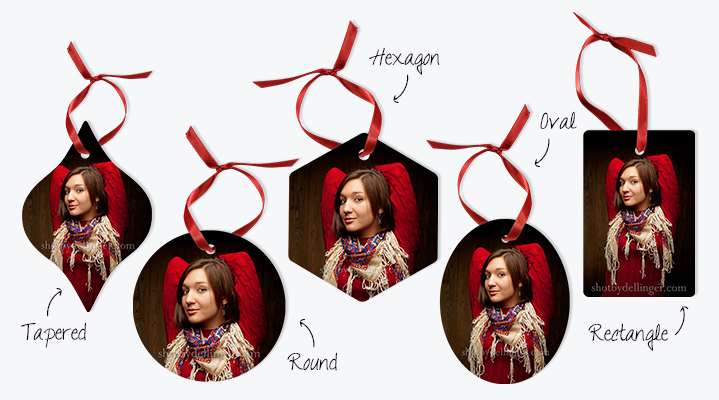 Beautiful ceramic ornaments in available in star, round, snowflake, & decorative round shapes. Double-sided, includes golden string. $17 each.